Mayan Civilisation was extended over thousands of years which could be divided into distinct periods. The first period was the Pre-Classic Period during which the fundamentals of the Mayan Civilisation were laid, followed by two other periods. 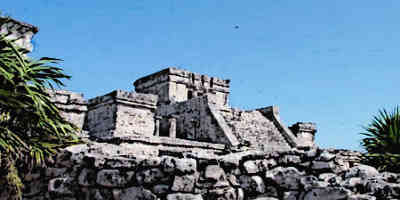 The Mayans had large urban centres with impressive architecture and thriving populations. However, around 900AD and after that, the cities began to be abandoned. Scholars have given various reasons such as chronic warfare, overpopulation, and climate change etc. for this downfall. Currently, there are over 4,400 sites included in the Mayan ruins. 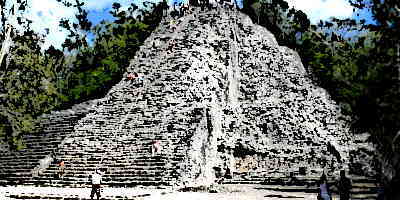 2 Where are the Mayan Ruins Located? The history of Mayan civilization begins in the Pre-Classic Period which ended at 250AD. This also marked the beginning of the Classic Period. This was the period during the civilization flourished and made impressive advancements. 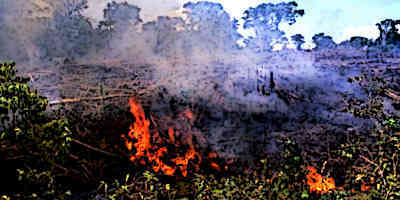 This period ended in 900AD which marked the decline and collapse of the Mayan civilization. After 900AD, most of the Mayan cities were abandoned, the exact reasons of which are still unknown. There are some wonderful Mayan ruins at these sites which tourists flock to see today. Where are the Mayan Ruins Located? The Mayan Civilization was mainly concentrated in the southern Mesoamerican region. In the present day, this would include the countries of Guatemala and Belize, as well as parts of Honduras and El Salvador. Additionally, it also incorporated the southeastern states of Mexico including the entire Yucatán Peninsula. These are the regions where sites of Mayan ruins are abundantly available, some of them are better preserved than the others. 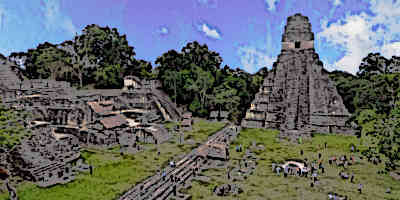 Tikal was the most important Mayan city during the Classic Period of the civilization. It was a thriving urban centre which at its peak had a population of 90,000 inhabitants. The Mayan ruins of Tikal are situated in the rain forest of Guatemala. It is also one of the largest archaeological sites of the pre-Columbian Mayan Civilization. 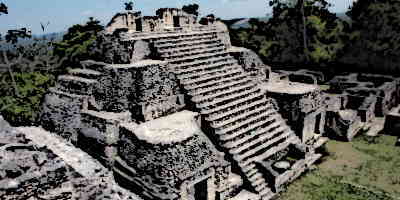 The site has various pyramid-temples, monuments, and palaces. According to the evidence, no new major monuments were built in the Tikal city following the Late Classic Period and the elite palaces in the city were burnt, probably as a result of them being defeated in wars. Gradual population decline also followed which eventually resulted in the abandonment of the city around 10th century AD. Another very important site of Mayan ruins is the ancient city of Calakmul which was the rival and competitor of Tikal city during the Classic Period. It is located in the Mexican state of Campeche in the jungles of the greater Peten Basin area. At its peak, Calakmul had a population of 50,000 people and an area of about 20 square kilometres. From the ruins of the city, a network of canal systems, water reservoirs, causeways, and various other noteworthy structures have been located. These Mayans ruins also have the largest reservoir so far found in the Mayan ruins. Other than that, there are five major reservoirs, eight causeways, a ballcourt, and multiple pyramids in addition to various unearthed artifacts. Copan is another important site of Mayan ruins which is located in the Copan department of western Honduras, near the border of Guatemala. It was one of the most important urban centres during the Mayan Classic Period particularly between 5th and 9the centuries. A considerable part of these ruins had been damaged by the Copan River which was later diverted in order to protect them from any further damage. Various important structures have been located from this site as well, including a ballcourt, temples, and others. 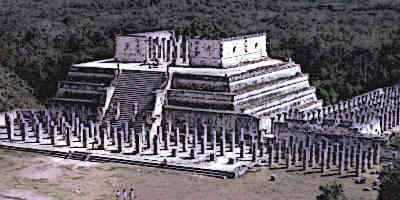 Chichen Itza is the site of Mayan ruins located in the Yucatan State of Mexico. This was one of the largest urban centres during the Terminal Classic period between 800AD and 900AD. The Chichen Itza ruins offer a diverse variety of architecture which is mainly due to the fact this city had one of the most diverse populations in the Mayan world. These Mayan ruins are also among the most visited archaeological sites in Mexico and attract as many as 1.2 million tourists every year. One of the most famous Mayan temples, The Kukulcán pyramid, is also located at this site. Among the Mayan ruins in southern Mexico, Palenque is noteworthy due to its importance during the Classic Period. It is located in the Southern Mexican state Chiapas near the Usumacinta River. Although this was a smaller urban centre compared to Tikal, Copan, or Chichen Itza, it is nonetheless quite important because of its impressive architecture, sculpture, and bas-relief carvings etc. 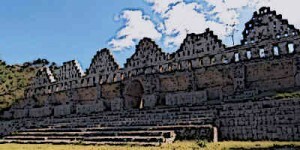 The most distinguishing feature of this site is the famous Temple of the Inscriptions which also served as funerary monument to the famous ruler of the city, K’inich Janaab Pakal. A lot of structures in the area still remain covered by the jungle and are yet to be excavated. 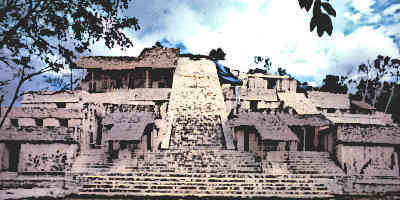 One of the largest Mayan urban centres during the Late and Terminal Classic Periods was Xunantunich which is one of the most important sites of Mayan ruins. It is located in western Belize, about 130 kilometres west of the Belize City. 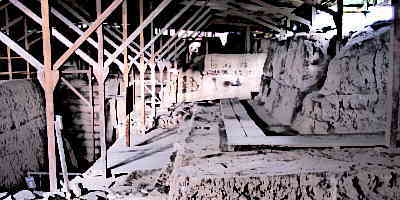 At its peak, it had a population of over 200,000 people and served as an important Mayan civic ceremonial centre, having trade and communication relations with other Mayan cities. The most important archaeological site in Xunantunich is the El Castillo Pyramid which is 40 meters high with a grand staircase leading up to it. According to the archaeological evidence, this temple was built in two different stages. 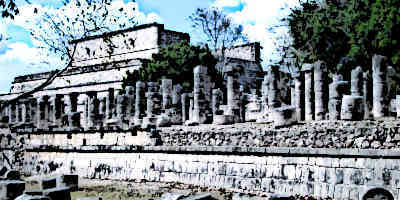 Overall, there are 26 temples and palaces on this site of Mayan ruins. Mayan Civilizations lasted for over three thousand years, although it enjoyed its golden time during the Classic Period between 250AD and 900AD. It was during this era that Mayans built grand temples, pyramids, and palaces in addition to impressive advancements in other domains. Some of the most famous Mayan urban centres, which today continue to be the most important sites of Mayan ruins, include Tikal, Calakmul, Copan, Chichen Itza, Palenque, and Xunantunich, among others. These sites of Mayan ruins house some of the finest examples of Mayan architecture and provide important information about the Mayan civilization.